Not only is marijuana more potent than it was when today’s parents were growing up, it is also being used in new ways aimed at getting a stronger and longer-lasting high. It’s impossible to know every method that marijuana is being used in. However, you can start by educating yourself about what’s out there. Below is a list of ways different people are consuming marijuana today. Some methods described are used for medical marijuana and other methods may be more for recreational use. All methods may be misused. Please note that this is not an exhaustive list and methods may vary by location. We welcome your feedback, observations and insights in the comment section below. Smoking is the most common way people use marijuana. People smoke out of joints (homemade marijuana cigarettes), blunts (hollowed-out cigars filled with marijuana), bongs (usualy glass water pipes), bubblers (mini-bongs the size of a pipe) and hookahs. Some marijuana smokers are more creative and make homemade bongs or pipes out of objects such as fruit, soda bottles or cans, corn cobs, etc. Gravity bongs are homemade pipes that use the force of gravity to pull the marijuana smoke into the chamber. This is usually done with water, but some people use beer. Plastic bottles (like two-liter soda bottles), jugs, milk gallons and buckets may all be used to make gravity bongs. Vaping (sometimes referred to as “juuling” or “juling” after the name of a brand) is using devices that vaporize the active ingredients in marijuana. 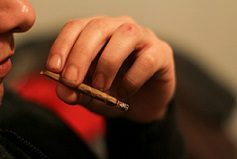 Many people use vaporizers because they claim to allow the user to inhale marijuana without some of the harmful or irritating health risks most commonly associated with smoking a blunt, joint or bong. Many believe you get “higher” by this method as well. Others may choose to “vape” because vaporizers don’t produce as strong of a marijuana smell as other methods. Vaporizers are often small, sleek and look like a regular writing pen or an e-cigarette. Dabbing is similar to vaping. Hash oil (also known as Butane Hash Oil, Butane Honey Oil or BHO) is extracted from the marijuana plant and concentrated into a wax form. First, a piece of a glass pipe or bong is heated with a blowtorch. Once it is hot, the waxy concentrate is placed onto the pipe creating immediate vapor. Hash oil is believed to be more potent and to create a stronger high. Oils are concentrates of marijuana often swallowed and/or digested either by cooking, baking or mixing with food or in capsule form. Oils are used in many of the methods discussed below. Tinctures are liquids extracted from the cannabis plant using alcohol. They are used by placing drops under the tongue for fast absorption. This is a highly-potent, highly-concentrated form of marijuana that is known to produce a fast-acting, intense high. Many tinctures are intended for medical marijuana use. Marijuana can be baked or infused into many types of food, snacks and candy products. 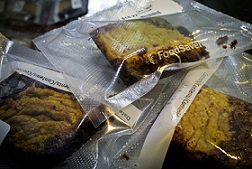 In addition to “pot brownies,” edibles can be found in cakes, cookies, crackers, gummy bears, lollipops, gum, chocolate, ice cream, cereal, granola, etc. Certain everyday beverages are infused with marijuana or mixed with oils. These beverages come in teas, sodas, elixirs and beer. Some teas are made by grinding the marijuana, mixing it with butter or another fat and placing the mix in tea bags. The bags are then simmered in water for about 30 minutes. Marijuana pills, known as “cannabis caps,” weed pills or Rick Simpson Oil (RSO) are made by filling medication capsules with marijuana oil, wax or another extract. These are liquids infused with either tetrahydrocannabinol (THC) or cannabinol (CBD), the psychoactive components of marijuana, and are sprayed under the tongue for fast absorption. They’re usually used by medical marijuana patients. People use them because they are convenient and discrete. Sprays come in different flavors and can be used to cover rolling papers, joints, blunts, pipes, etc. Topical oils are thick extracts that are absorbed through the skin and used for muscle aches/soreness. Topicals don’t provide the feeling of “being high” and are mainly used for medicinal purposes. What teen behaviors around marijuana are you seeing in your community? Please share in the comment section below. Special thanks to Osvaldo Cabral, MA, LPC, CACIII, Assistant COO, Touchstone Health Partners for sharing his time and expertise in preparing this post. "But You've Smoked Weed.. Haven't You?" 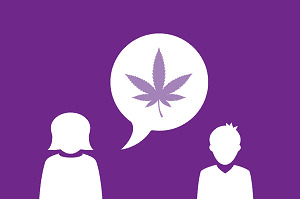 Find out how to talk more about marijuana with your teen. Great info how cannabis should be used! Let’s all be responsible!